Greensfelder is pleased to announce that Risa McMahon has joined the firm as its business development director. She is based in the firm’s Chicago office. In her role as business development director, Risa focuses on identifying business development opportunities consistent with Greensfelder’s strengths and strategic initiatives. 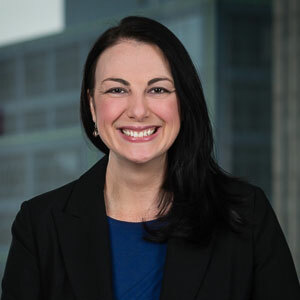 She also leads the firm’s annual business development planning process and oversees the client value assessment program to determine ways in which the firm can best serve its clients and communities. For more than 15 years, Risa has served in key marketing and business development roles at law firms and professional services firms across Chicago. Her experience also includes mentoring legal marketing and business development professionals and delivering professional development presentations on key business development topics and trends. Prior to joining Greensfelder, Risa served as a practice development manager at Vedder Price. She received her Bachelor of Arts from the University of Southern California.